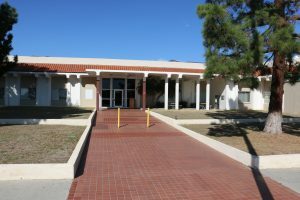 The Santa Barbara County Jail houses males and female inmates and provides incarceration and rehabilitative services for pretrial and court-sentenced inmates. We are anxiously awaiting the opening of our new Northern Branch Jail which is currently under construction. The Northern Branch Jail site was acquired in April of 2008. The Sheriff’s Office applied for grant funding and after a competitive process was selected as the recipient of an $80 million grant from the state to build a new jail. The Conditional Award was accepted in October of 2012. The project kicked off in May of 2013 and construction began in September of 2016. The project is expected to take two years to complete and is scheduled to open in Spring of 2019. The 376-bed, 133,000 square foot facility is located at 2301 Black Road near Santa Maria.The Northern Branch Jail will provide much needed inmate housing for both male and female inmates in a mix of medium and high security areas. An expandable design to meet projected future needs of the county justice system in phases that will be consistent with the original design. To see how the project is progressing, click on the link below to see the construction webcam.